Not many people understand the basics of slip, trip, and fall cases in Florida, which can be a pitfall to anyone involved in a classic case of slip, trip, and fall. The personal injury attorneys at Spencer Morgan Law in Miami, Florida aim to inform victims of premises accidents about their legal rights, that way they do not unwittingly deny themselves compensation that they are legally entitled to. 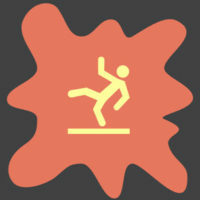 For that reason, we have put together a list of the most basic FAQs regarding slip and fall injuries and their answers. Q: What if I get injured at my neighbor’s house after he invited me over? A: If you get injured at your neighbor’s house, you may be able to recover compensation from your host depending on how the injury happened. If you were injured by a hazard present on their property, and they knew the hazard existed but failed to fix it or warn you about it, they could be considered negligent, and therefore, liable. Q: If I trip over a piece of broken city sidewalk, can I sue the city? Again, that all depends. City and state governments have an obligation to keep their streets and sidewalks in good condition. However, in order to prevail in a slip and fall case, you must be able to prove that a) the city knew of the existing hazard and b) failed to fix it in a timely fashion, two things that may be difficult to prove. Q: Can I be compensated if I’m injured in a slip and fall accident at a store? Absolutely! While this will depend on the circumstances surrounding your accident, Florida shopkeepers have a duty to keep their floors free of hazards and to reasonably inspect each and every area that the public might traverse. If you can prove that the hazard was in place for a relatively long period of time, you have a significant chance of recovering damages. Your case becomes even stronger if you learn that an employee was informed of the hazard but failed to take reasonable action to remove and/or clean up said hazard. Q: What does it mean when the law says that a property owner “should have known” about a dangerous condition? In order to be held liable for an accident on one’s property, the property owner must have known about the dangerous condition and failed to take reasonable measures to remedy it within a certain period of time. That period of time is the same amount of time that another, reasonably careful person would have discovered the hazard in. Q: Should I hire a lawyer to defend me in my slip and fall claim? Absolutely! An experienced lawyer understands slip, trip, and fall law as well as he knows the back of his hand. As a result, he or she can help you evaluate your claim, determine what it is worth, and gather the evidence necessary to support your claim and win your case. If you were involved in a slip, trip, and fall accident in Florida, it is important that you know your rights prior to deciding whether or not to proceed with legal action. A Miami slip, trip, and fall attorney at Spencer Morgan Law can help clarify any questions you might have regarding your accident and a possible claim. To schedule a free case evaluation, call our firm at 325-423-3800 today.